Bilberry has been widely known to herbalists since the 16th century. This close relative of blueberries contains over 15 different naturally-occurring anthocyanosides (flavonoids) that contain beneficial antioxidant properties. 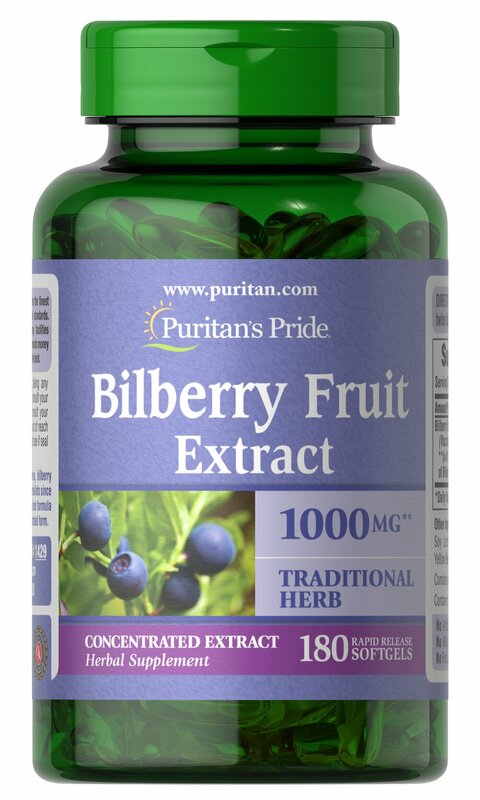 ** Our Bilberry delivers 1000 mg (from 250 mg of 4:1 extract). Adults can take one (1) softgel once or twice daily, preferably with a meal.